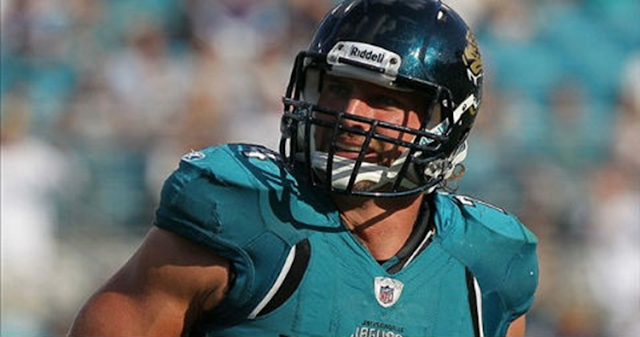 From Paul Kuharsky's "Aaron Kampman's influence will linger"
Aaron Kampman’s no longer a member of the Jacksonville Jaguars. But if some of his teammates picked up on his professionalism, his influence will linger. And Twitter gives us a couple indications that will be the case. 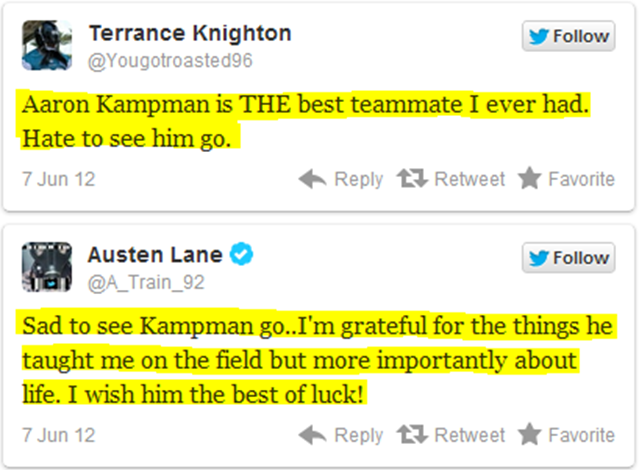 The first time I spoke with Kampman, when he was recovering from the first of two ACL tears, he spoke of the recovery in a way I’ve never heard another player talk of it. He said he found the experience “purifying,” an outlook that’s struck me as healthy and always stuck with me. I hope Kampman gets healthy and gets one more look somewhere. But if he doesn’t, I hope he’s satisfied with what he did as a player.